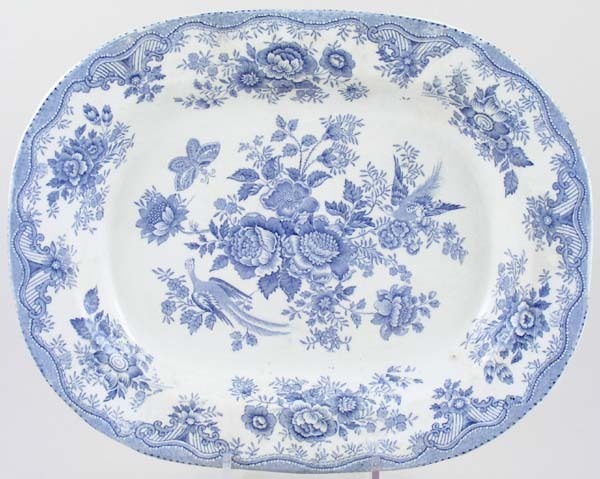 Lovely plain rim dish printed in a slightly darker blue than is usual for this pattern. Backstamp: Impressed date for 1911. Light all over crazing with some areas of light discolouration.